Accent a bed or armchair with the supersoft Rapport Skye Throw in Red. The soft, lightweight throw is perfect during warmer months when you might need an extra layer on a cooler evening. 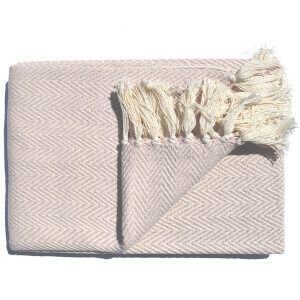 Featuring a herringbone weave in red and cream, with red coloured tassels, the cosy throw is crafted from 100% cotton and will suit both contemporary and traditional interiors.